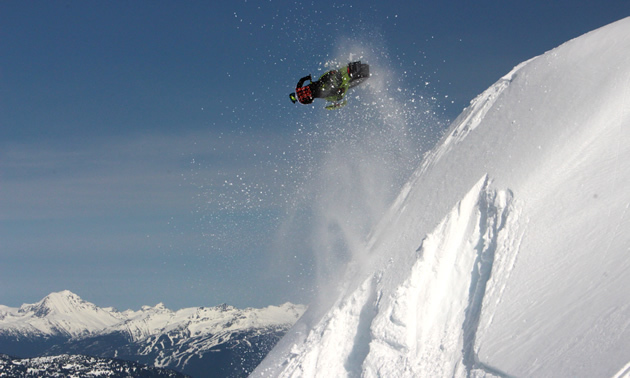 Revelstoke rider Morgan Gamache flies largely under the sled industry radar, but lately, this master of the whip-it has been gaining some recognition. The 27-year-old turned heads last winter at the Canadian Hillclimb Championships in Vernon, B.C., with a near clean-sweep of the semi-pro classes. 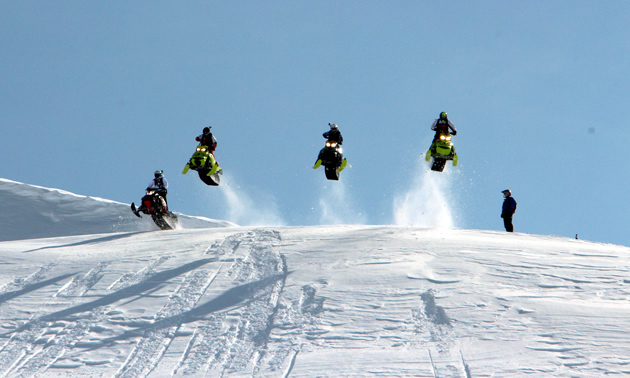 He also landed a segment in the latest Braaap 15 sledding film and a photo on the cover to go with it. Originally from Whistler, B.C., Gamache grew up slaying the deep coastal powder with his parents on the Pemberton ice caps. By the time he was 12 years old, Gamache was an accomplished big mountain rider, with an affinity for airing it out. When he was 16, Gamache and his partner in crime at the time, Ray Archer, landed a small role in the 2004 Roops of Hazard sledding film. They were also featured in Slednecks Compound Vol. 1, Braaap 7 and Braaap 8. Just because he hasn’t been featured in a sledding movie since 2008 doesn’t mean Gamache has been idle. After high school, he left Whistler and moved to Alberta to pursue training as an aircraft maintenance engineer. 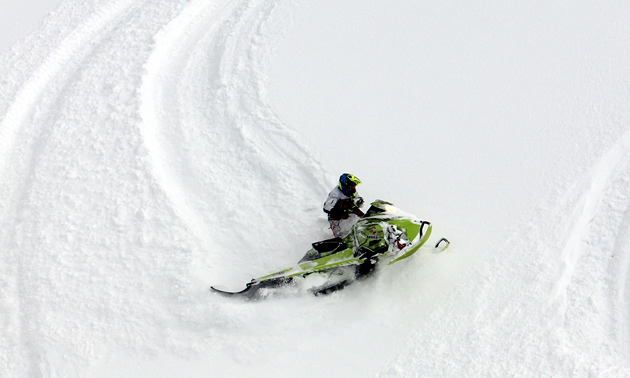 During that time, he didn’t own a sled, but Gamache still found ways to satisfy his snowmobiling addiction. “I’d just ride demos or people would lend them to me,” he said. 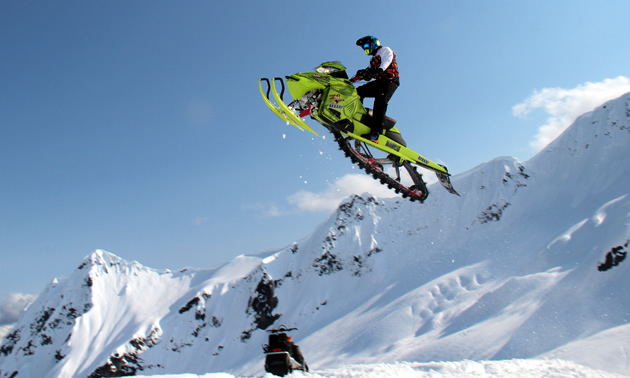 Once he finished his apprenticeship, Gamache found full-time work with a helicopter company based in Red Deer, Alberta, which also has a contract with a heli-skiing operation in Revelstoke. 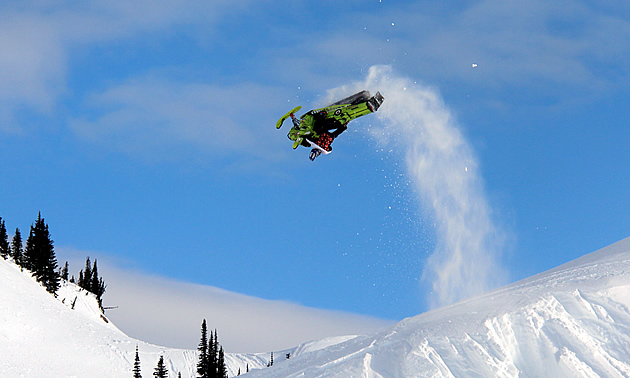 With much of his work and his girlfriend’s family based there, Gamache eventually moved from Alberta to the sled-friendly town of Revelstoke. 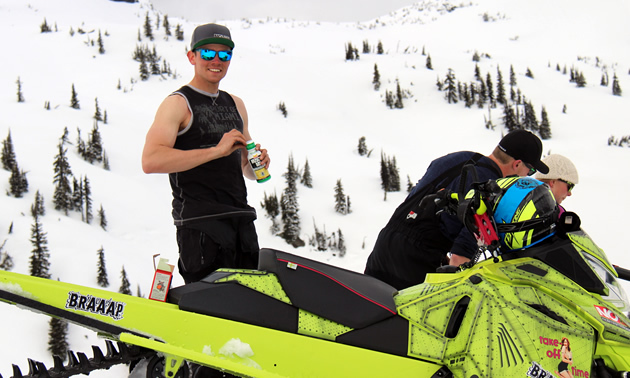 Compared to Whistler, Gamache said, the terrain around Revelstoke is tighter, giving him an opportunity to enhance his tree-riding skills. 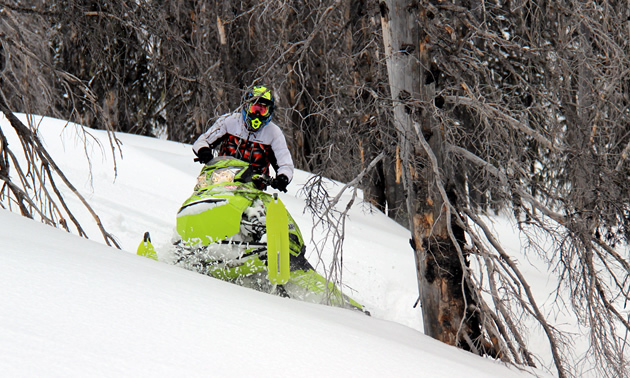 Now a well-rounded backcountry assassin, Gamache can hang with just about anybody. Gamache had a few good rides last winter. Stand out was a day in the spring when he found a perfect half-pipe for practicing re-entry whips. Fortunately filmmaker Jaya Lange was there to capture it, and what you see on the front cover and in Braaap 15 are the results. Gamache said it happened in slow motion. 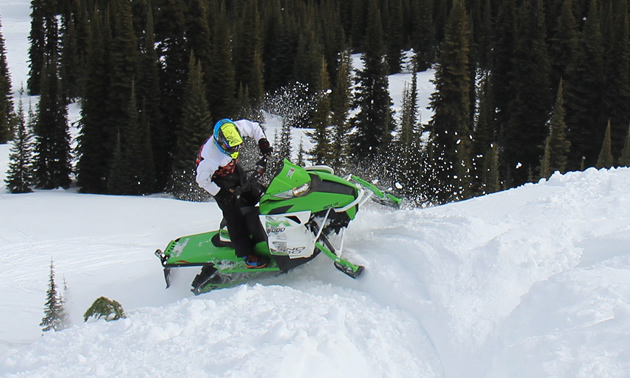 With support from Cycle Works Red Deer, FXR, Limitless Custom MFG and other sponsors, Gamache is planning to hit the backcountry sled scene hard this winter. 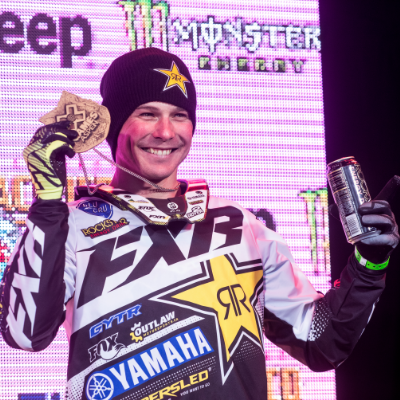 He’ll also be moving up to the pro classes in the Western Canadian Hillcross Association. 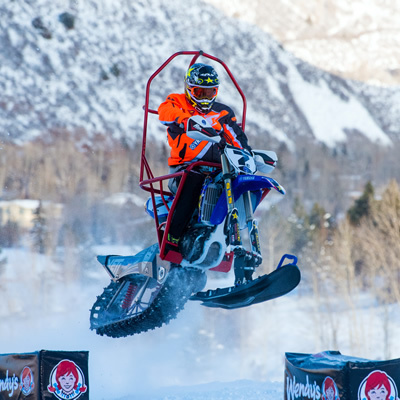 Gamache is competitive, but true to his humble nature, he’s not intent on winning or becoming the next big name in snowmobiling. He’s just looking for new ways to express his creativity, because to him, that’s what it’s all about. For more photos and videos, you can follow Gamache on Instagram and Facebook.